Speaking in the Dáil today, Independent TD for Donegal Thomas Pringle reiterated his support for the nurses and midwives who are continuing their strike this week in Donegal and across the country. “Today I declared my full support for nurses and midwives in the Dáil during statements on the industrial action taking place. Any call for fair pay and conditions, a safe working place and for patient safety should not fall on deaf ears. Unfortunately with Fine Gael, that is the case. “I believe that a resolution can be found in existing industrial relations processes, however Fine Gael refuses to engage in this manner. That’s because Fine Gael do not care about workers’ pay and conditions in this country. In fact they have actively undermined workers’ rights since they have been in Government and in many cases have either refused to meet, negotiate or even recognise certain trade unions including NASRA representing ambulance crew. “Meeting with nurses and midwives outside Leinster House I offered my support for their continuing strike today and into the future. Public support for their call is overwhelmingly positive because we know too well the huge role nurses play in Letterkenny University Hospital and in community hospitals across Donegal and how they deliver vital services despite the deteriorating conditions they are forced to work in. 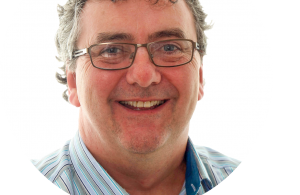 “Furthermore, the recruitment and retention issue which is plaguing Donegal’s public services is a Government-made issue, the responsibility of which should not fall on the nurses and midwives themselves but on Fine Gael’s own shoulders. 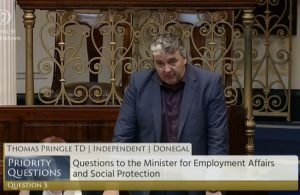 I raised a vitally important question to the Minister for Finance and the Minister for Health asking why they agree only now that the recruitment and retention crisis must be thoroughly investigated when this has been at crisis point for years. It shows Fine Gael’s incompetency and incompatibility with the notion of a fairer more equal society” concludes Pringle.